Below is what we learned in detail. Our hearts go out to our fellow Houstonians impacted by Hurricane Harvey. We hope your Houston teams and families are all okay. All three of us in the John Burns Real Estate Consulting Houston office were quite lucky. We were inundated with client calls, some of whom were dealing with significant flooding problems and others who wondered what they should expect ahead for their businesses. Our clients employ many thousands of people who are eager to help the region recover. Damage is severe. 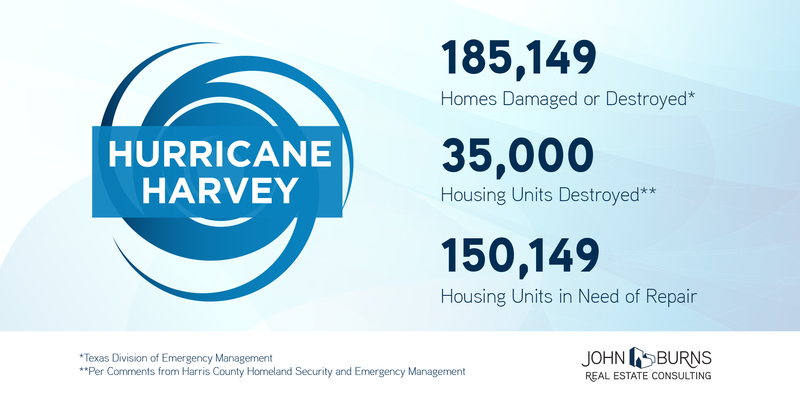 Our best estimate from reading media reports is that at least 35,000 homes are destroyed, and another 150,000 homes will require substantial repair. Repair and remodeling spending will surge 9% nationally, taking labor and material resources away from new home construction. 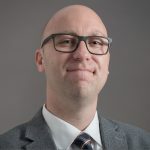 Our VP Todd Tomalak expects total 2017 disaster repair spending to reach $23 billion, which is more than double that of 2016. Those without flood insurance will tend to DIY. New home construction costs will rise for several years. Government regulation and oversight will likely increase, making home construction more expensive. After three major floods in less than three years, most Houstonians no longer believe flooding is a once-in-a-lifetime event. Labor costs will rise. 8 of the 14 builders we spoke with last week expect new home permits to decline for the balance of the year, primarily due to short supply of labor. All builders expected labor prices to continue increasing. 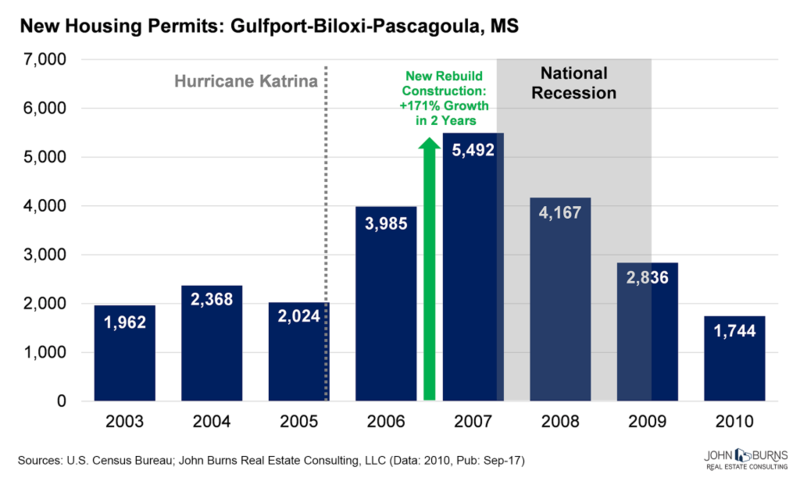 Construction worker compensation rose 14% in Mississippi after Hurricane Katrina. Our clients in Dallas expect to lose workers to Houston as well. Land prices likely to remain stable. The shortage of land in good locations will likely continue to keep land prices high. Real estate discounts will disappear. 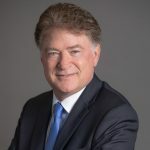 Prior to the hurricane, many new home sellers and apartment landlords were offering incentives to buyers and renters due to a slowly growing economy and an overbuilding of expensive apartments. 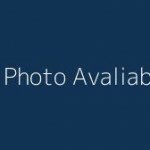 Apartment Data Services, the Texas leader in apartment statistics and research, estimates approximately 10% of Houston-area apartments flooded from Hurricane Harvey, and believe most of the 70,000 vacant units will become occupied quickly. With housing vacancy certain to decline, we expect the incentives to disappear. Construction volumes will be higher than forecasted in 2018 and later. It took about five years after Hurricane Katrina to rebuild the housing stock in Harrison and Hancock counties. 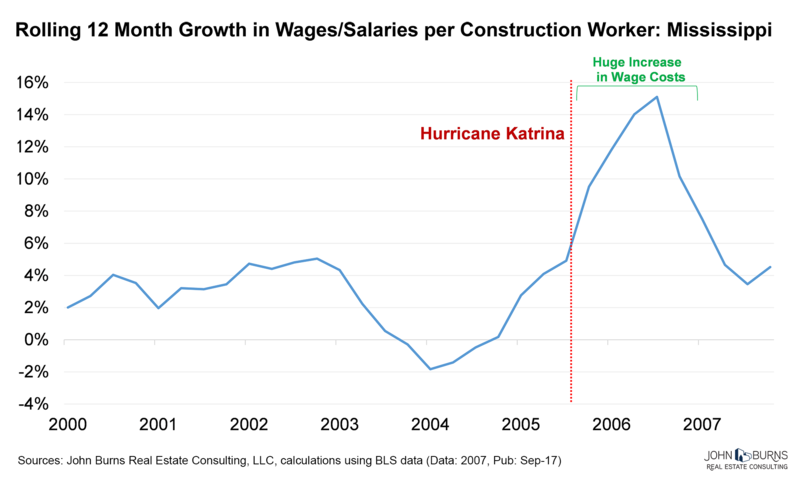 Following Hurricane Katrina, wages and salaries per construction worker jumped by over 14% in the state of Mississippi, as a shortage of workers drove up costs. It took five years of rebuilding for Harrison and Hancock counties after Hurricane Katrina. Initially, this was catastrophic for the housing stock, as nearly 20% of housing was destroyed. We expect 2017 US disaster repair and recovery spending to reach $23 billion, which is at least double that of 2016. Overall, this will increase national R&R spending 4% in 2017 and 1% in 2018. We are raising our 2017 and 2018 forecasts to 10% and 6% increases, respectively, in repair and remodeling expenses. 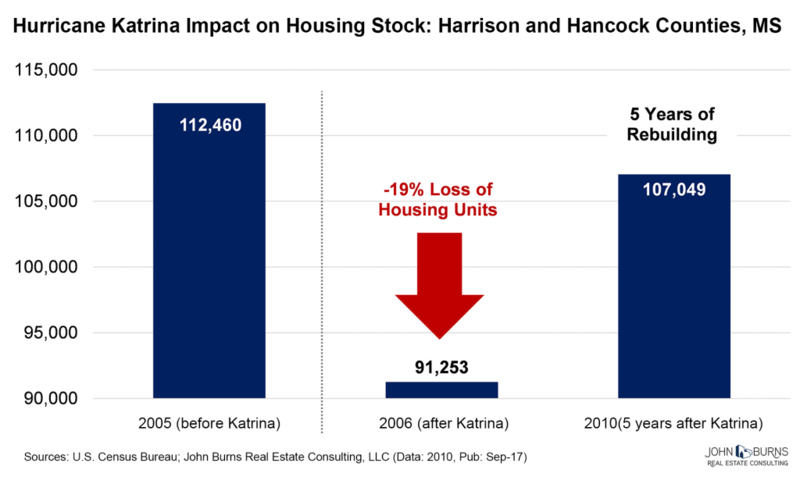 Construction grew by 171% in the two years following Hurricane Katrina, as homes lost to hurricane damage had to be rebuilt—despite approximately 200,000 New Orleans residents permanently relocating. Floods are hard on home prices. 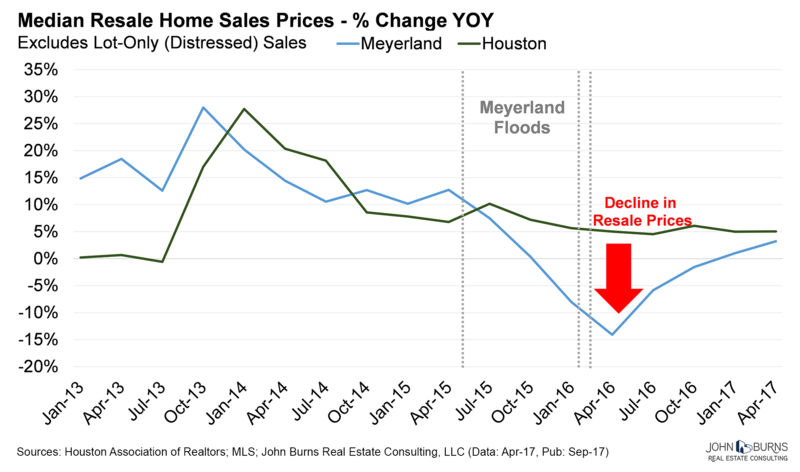 We looked at the impact of flooding on resale home prices in Meyerland, a community within Houston. Meyerland has flooded four times since 2015, with a huge effect on median home prices compared to the rest of the city. Resale prices declined by high single digits for about a year after the flood, while prices in the rest of Houston increased. Meyerland became a less desirable neighborhood after repeated flooding. Many resale transactions (up to 20% in periods immediately following a flood) were homes in need of repair. The chart below shows home sales excluding lot-only (distressed from storm) sales. In summary, it will be a long time before Houston returns to normal. We believe new home construction will fall in the short term but rise in the long term. New home prices will have to go up because costs will go up. We believe Houstonians will work hard to rebuild the region we love. If you have any questions, please contact David Jarvis at (713) 906-3829 or by email. If you have any questions, please contact Matt Farris at (936) 662-1767 or by email.